iPhone Stuck Preparing Update? Here's Why & The Real Fix! You are at:Home»iPhone»iOS»iPhone Stuck Preparing Update? Here’s Why & The Real Fix! You’re trying to download and install the latest software update, but it’s stuck preparing. It’s been stuck for minutes and the update still isn’t installing. In this article, I’ll explain what to do when your iPhone is stuck on Preparing Update! Why My iPhone Stuck On Preparing Update? 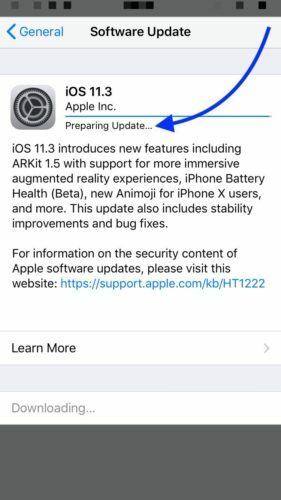 Your iPhone is stuck on Preparing Update because a software or hardware problem interrupted the download process of the latest iOS update. The steps below will help you fix potential reasons why your iPhone got stuck so you can complete the update! It may take longer than normal for your iPhone to prepare an update if it’s not connected to a reliable Wi-Fi network. Go to Settings -> Wi-Fi and make sure your iPhone is still connected to Wi-Fi. You probably shouldn’t try updating your iPhone using a shoddy public Wi-Fi network. It’s important to be connected to a good Wi-Fi network before updating your iPhone because some iOS updates, especially major ones, can’t be downloaded or installed using Cellular Data. 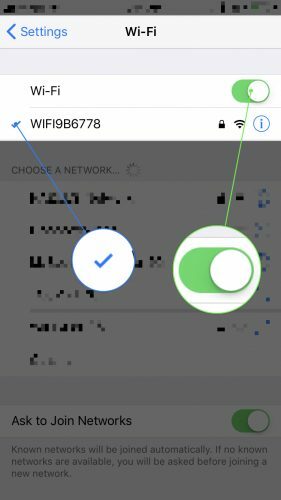 Check out our more in-depth article if your iPhone isn’t connecting to Wi-Fi! 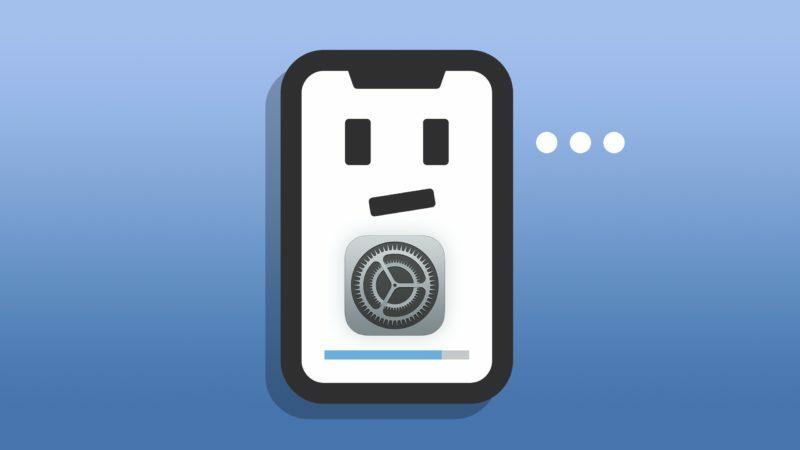 If your iPhone is connected to Wi-Fi, it could be stuck preparing the new update because of a software crash that froze your iPhone. We can unfreeze your iPhone by performing a hard reset, which will force it to abruptly turn off and back on. iPhone X: Press the volume up button, then press the volume down button, and then press and hold the side button. Release the side button when the Apple logo appears on the center of the display. iPhone 7 & 8: Press and hold the power button and the volume down button. Release both buttons when the Apple logo flashes onto the screen. iPhone SE & Earlier: Simultaneously and hold the Home button and the power button and release both buttons when the Apple logo appears on the center of the screen. After the hard reset is complete, your iPhone will turn back on. Then, open the Settings app and tap General -> Software Update and try to download and install the software update again. If your iPhone is still stuck on Preparing Update, or if it gets stuck again, move onto the next step! 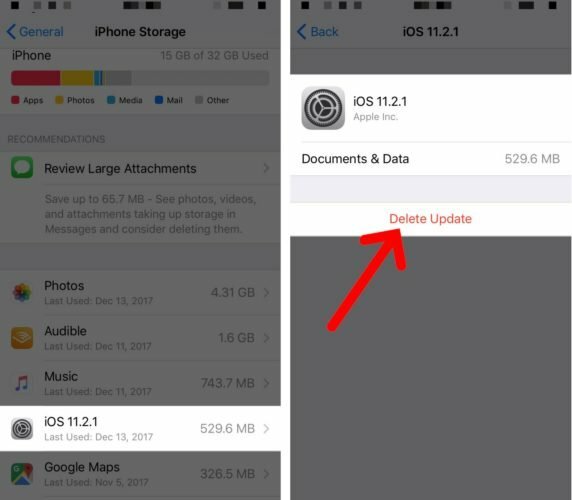 One little known trick for when your iPhone is stuck on Preparing Update is to delete the update from your iPhone’s storage. When you download an update on your iPhone, it shows up in Settings -> General -> iPhone Storage. If you go to this menu, you can actually delete the downloaded update. After deleting the update, you can go back to Settings -> General -> Software Update and try to download and install it again. It’s possible that something went wrong the first time you tried to update, by trying again we can give your iPhone a fresh start. To delete the software update, go to Settings -> General -> iPhone Storage and tap on the software update — it’ll be listed as the version number of the software update. Then, tap Delete Update. After deleting the update, try downloading the update again by going to Settings -> General -> Software Update. As I mentioned earlier, it’s best to update your iPhone while connected to a reliable Wi-Fi network. If your iPhone gets stuck on Preparing Update again, move onto the final step! If your iPhone continues to get stuck on Preparing Update, it’s time to DFU restore your iPhone. When you perform a DFU restore, all the bits of code that control your iPhone’s software and hardware are completely erased and reloaded. Furthermore, when you DFU restore your iPhone, the latest version of iOS is automatically installed, which should fix the problem if your iPhone gets stuck on Preparing Update. Check out our article to learn how to put your iPhone into DFU mode and restore it! Your iPhone update has finished preparing and you can finally install it on your iPhone. Next time your iPhone is stuck on Preparing Update, you’ll know exactly how to fix the problem. Have any further questions? Leave them in the comments section below! Previous ArticleiPhone Stuck On Apple Logo? Here’s The Real Fix. Next Article Can You Fix A Broken iPhone Screen? Here’s The Truth!